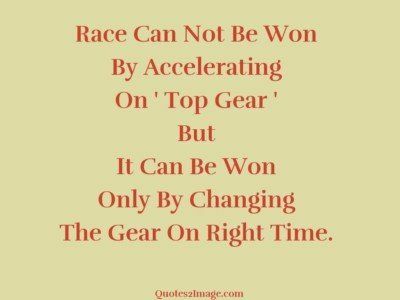 Race Can Not Be Won By Accelerating On ‘ Top Gear ‘ But It Can Be Won Only By Changing The Gear On Right Time. 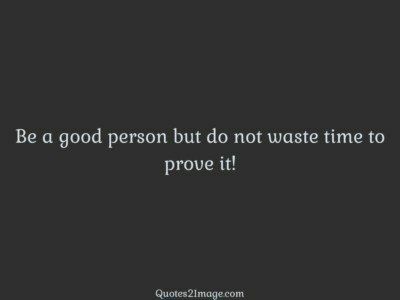 Be a good person but do not waste time to prove it! Love is always full time, never part time, never sometimes, and certainly not just on your time! Every time you are tempted to react in the same old way, just ask yourself… Do you want to be the prisoner of the past or be the pioneer of the future. Good Day! 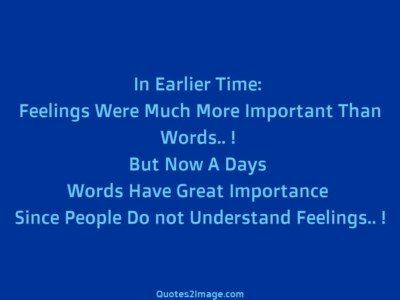 In Earlier Time: Feelings Were Much More Important Than Words.. ! 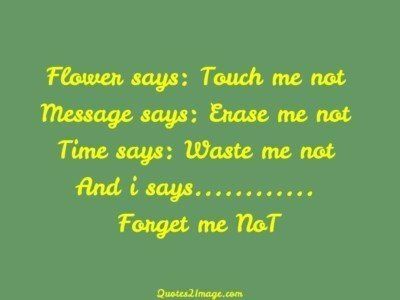 But Now A Days Words Have Great Importance Since People Do not Understand Feelings.. ! 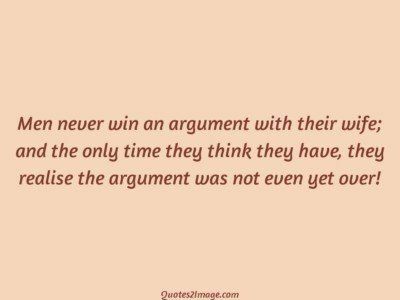 Men never win an argument with their wife; and the only time they think they have, they realise the argument was not even yet over! 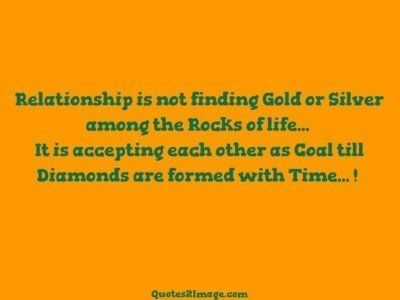 Relationship is not finding Gold or Silver among the Rocks of life… It is accepting each other as Coal till Diamonds are formed with Time… ! The key to any long-term relationship is for both of you not to be angry at the same time. 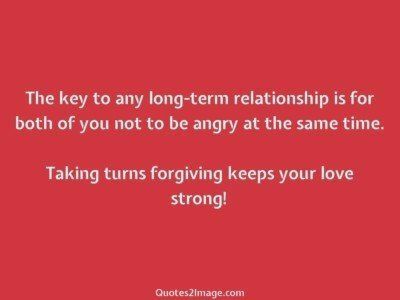 Taking turns forgiving keeps your love strong!